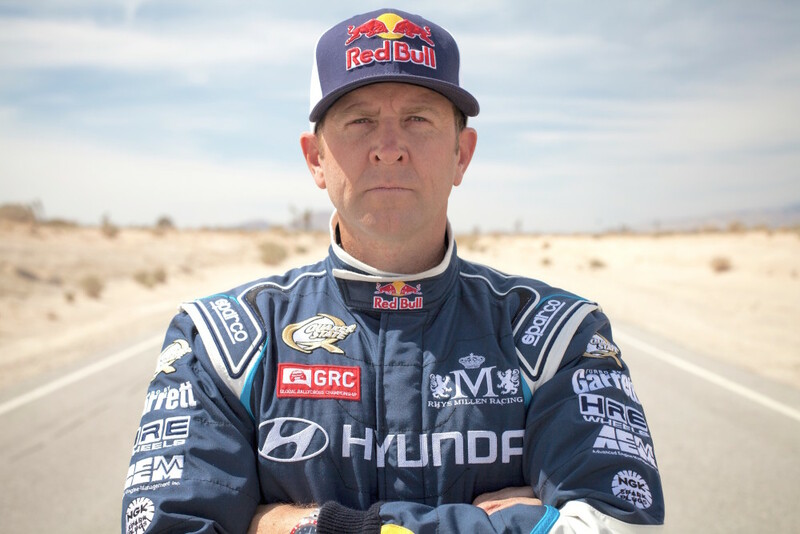 Former winner and record holder Rhys Millen will participate in the 93rd running of the Pikes Peak International Hill Climb with the one megawatt electric race car developed by Drive eO. The 42-year-old driver will challenge all competitors in the ‘Race to the Clouds’ aiming to become the first overall winner with an electric vehicle. “In ideal conditions we must be capable of setting a race time below nine minutes,” Millen predicts. The eO PP03 produces 1020 kW (1367 hp) peak power thanks to a 50 kWh lithium-ion battery pack and six YASA-400 electric motors with in-house developed eO controllers. The all-electric vehicle is currently being assembled by Drive eO, which is a Latvian engineering company specialised in the design and manufacture of electric and hybrid electric prototype vehicles. Previously, they were the first to complete the demanding Dakar Rally with a hybrid electric vehicle and they have participated with all-electric race cars in the Pikes Peak International Hill Climb twice. With over 20 years of racing experience, Rhys Millen has carved out a solid career and reputation, becoming one of the most sought after performance drivers in the US automotive scene. Millen, born in New Zealand, is the son of famed rally and off-road racer Rod Millen. Rhys joined his father Rod in the USA as a teenager and soon established himself as an entrepreneur and race car driver. He developed his advanced car control skills in various competitions like rally, drift series and participating in the Pikes Peak International Hill Climb, setting multiple records, class wins and taking the overall victory in 2012. He previously represented factory teams such as Mitsubishi, GM and Hyundai. Besides racing, Millen was also appointed as lead stunt driver for film productions like Dukes of Hazzard and multiple Fast & Furious titles. The eO PP03 is currently being assembled in the workshop in Ogresgala Pagasts, near Latvia’s capital city Riga, and is expected to undergo first testing in May. Pikes Peak International Hill Climb is the second oldest motor racing event in the United States of America. The race is run on a twenty-kilometre (12.42 mile) course with 156 turns that begins at 2,862 metre (9,390 feet) elevation and finishes at the 4,301 metre (14,100 feet) summit of the Pikes Peak mountain in Colorado Springs, USA.